The California Tahoe Conservancy plans to restore the complex and unique ecology of the Upper Truckee Marsh. The Conservancy will redirect the Upper Truckee River flows to a historical network of channels through the Marsh. The Marsh once covered 1,600 acres, but 20th century development destroyed much of the wetlands complex. View information about the Upper Truckee Marsh annual seasonal dog closure. 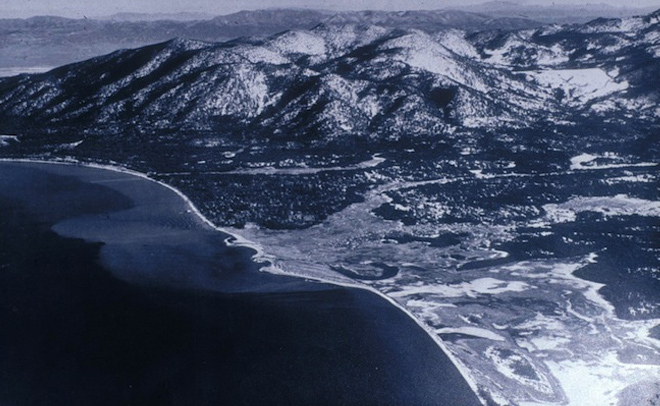 Construction of the Tahoe Keys neighborhood destroyed much of the wetlands in the 1950s and 1960s. The development of the Keys involved considerable dredging and filling of the area, as well as the channelization of the Upper Truckee River as it nears Lake Tahoe. The Conservancy plans to restore and enhance over 500 acres of floodplain by returning river flows to the center of the Marsh. Returning river flows to the Marsh will improve water quality and enrich native fish and bird habitat. The restored Marsh will act as natural pollution filter, removing fine sediments from the water before it reaches Lake Tahoe. With the Marsh more wet, it will be more resilient to droughts, flooding, and other climate change impacts. The Conservancy also will enhance public access and recreation opportunities in the northwest corner of the Marsh. After several years of planning and public involvement, the Conservancy Board approved the preferred alternative for the project in December 2015. Conservancy staff and consultants have since completed preliminary plans for the project, and received State Public Works Board approval to proceed to the working drawings phase. The Conservancy also established a science advisory committee to guide the development of the project’s design and monitoring plans. Conservancy staff expects to begin constructing the project in the fall of 2019, pending completion of final plans and the securing of necessary permits. The majority of construction will likely occur in 2020 and 2021. Conservancy and Department of General Services staff estimates that they can construct the first stage for about $9 million. The Conservancy is partnering with several State and federal agencies to secure these funds. The Conservancy is providing $3.2 million from Proposition 68 funds, receiving a $1.7 million Proposition 1 grant from the California Department of Fish and Wildlife, and seeking additional State funding from the Wildlife Conservation Board. Staff is also pursuing funding from the U.S. Army Corps of Engineers through a partnership agreement signed in 2017, and additional federal funding from the U.S. Bureau of Reclamation (Reclamation) from the Lake Tahoe Restoration Act and Reclamation’s Lake Tahoe Regional Wetlands Development Program.